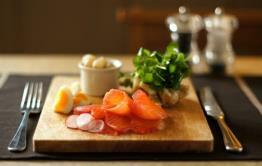 The Priory Inn provides a seasonal feast of modern rustic food at affordable prices. Its roots lie firmly in showcasing the fabulous local produce provided by the wealth of dedicated and talented producers and suppliers on their doorstep. 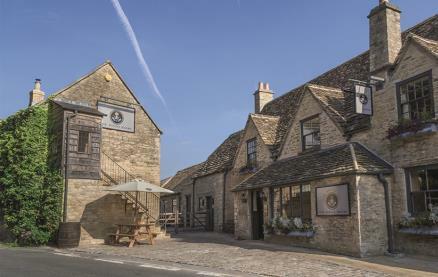 When you eat at The Priory, you are dining in a 30 Mile Food Zone - the restaurant buys almost 90% of its food from within a 30 mile radius of Tetbury. 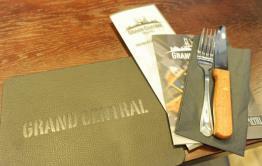 Try the delicious small plates, mouth-watering à la carte dishes and variety of gourmet pizzas from the wood-fired oven. The team at The Priory knows that the highest quality fresh produce is crucial for outstanding food, and it aims for nothing short of outstanding! Whatever your choice, you can be sure that it is made with the very best Cotswold yield. Uncomplicated food cooked simply but exceptionally well, determined by what is in season and enjoyed in a relaxed and unpretentious setting. The menus and wine list have something for everyone: inventive and taste-bud tickling à la carte, and if you are looking for a quick but scrumptious evening meal, try one of the gourmet pizzas cooked to perfection in the wood-fired oven. 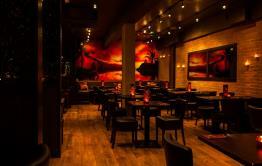 Or enjoy a glass of wine or local ale on one of the leather bar stools and enjoy the friendly, welcoming bar atmosphere. Surrounding you in the restaurant is work by a wealth of talented local artists. Every Sunday night there is live music from a local musician - always at a volume that works for eating and often covers that you will recognise. Children are more than welcome at The Priory Inn - with high-chairs, changing facilities, colouring and a toy box with books and games to keep boredom at bay, plus staff with the right attitude and of course a special menu for the little ones too! Be the first to write a review and share your experience at The Priory Inn with other diners.